Get Flat Rs.75 SuperCash on Electricity Bill Payment done on MobiKwik App or website. Minimum transaction amount is Rs.2000/- to avail this offer. Simply apply the coupon code before done any transaction. Maximum SuperCash is fixed at Rs.75/-. The offer can be redeemed once per user per month. Ensure that payment should be done on MobiKwik's Android, Windows, iOS App or website. Save big on bills payments! 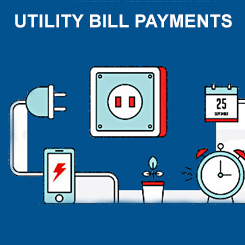 Get upto Rs.50 cashback on tata power bill payments. Pay your bills online before the last date & enjoy the cashback offer with Freecharge. In order to avail the freecharge offer, minimum transaction should be Rs.200/-. Don't forget to use freecharge coupon code to get the cashback. Offer valid for new users as well as for existing users. The offer is valid only once per FreeCharge Account/credit card/debit card/net. Hurry up, Grab this freecharge electricity offer before its going. Offer valid for few days, recharge it now. Are you looking for a cashback offer? Here have a chance to get cashback on every bills payment via freecharge. Get upto Rs.50 cashback on BSES Yamuna bill payments. This freecharge cashback offer valid on minimum transaction of Rs.200/-. Simply enter freecharge coupon code to get the cashback. The Offer is valid only for electricity bill payments. Hurry up, Grab this freecharge BSES offers before its going. PhonePe offers to win upto Rs.1000/- cashback on your first tata power electricity bill payment. Minimum transaction amount is Rs.300/- to avail this offer. Offer valid only on the first electricity bill payment. You can choose any payment mode as in UPI, Credit or Debit Card & wallet. You do not require any phonePe coupon code to redeem this cashback. The offer is not valid to the Tamil Nadu Prize Schecme Act. Hurry up, Enjoy this PhonePe tata power electricity bill payment offer. Pay your first CESC bill & get a scratch card and win upto Rs.1000/- cashback on minimum transaction of Rs.200/-. Minimum transaction value must be required to redeem this phonepe voucher. Offer valid on first ever electercity bill payment of CESC Kolkata on phonepe. Paid through UPI, Credit or Debit Card, UPI+Wallet or Debit/Credit + Wallet. Scratch card can be availed only once per device and once per phonepe registered user. Go Ahead, Pay it fast. Get a scratch and win upto Rs.1000/- cashback on first ever electricity bill payment on Phonepe. The minimum transaction amount is Rs.200/- to redeem this cashback value. Offer valid on first ever mp Paschim kshetra Indore electricity bill payment on PhonePe. Minimum cashback that you can avail is Rs.35/-. PhonePe coupon code is not required to redeem this offer. Offer valid only the bill paid via UPI, Credit or Debit Cards, UPI+Wallet or Debit/Credit +Wallet. Transactions paid for using ONLY wallet balance will not be eligible for the offer. Offer can be availed (once per, per device) on first ever MP Paschim Kshetra Indore Electricity Bill Payment. Hurry up, Get this pahonePe cashback. Now get up to Rs.500 cashback on your BSES Rajdhani electricity bill payments. This BSES Rajdhani bill payment coupon code valid only first ever transaction on PhonePe. Minimum transaction amount should be Rs.1000 to avail the phonePe offer. Offer valid only the bill payments are paid through UPI, Credit or Debit card. Offer valid for phonepe new users. Hit on electricity icon within "Recharge & Pay Bills" section of the app. Enter "CA Number" of electricity provider. Pick the payment option for the same. Phonepe coupon code automatically applied during the payment. PhonePe offers on Bangalore Electricity Bill Payments with cashback of Rs.1000/-. Minimum transaction is Rs.300/- to avail the phonePe cashback. Offer valid for first BESCOM Bangalore Electricity Bill Payments during the offer period. You do not require any coupon code to redeem the cashback. Pay your first tata power Mumbai electricity bill via PhonePe app & get upto Rs.1000/- cashback. Minimum transaction amaount is Rs.200/- to avail this offer. Offer valid on the first tata power Mumbai electricity bill payment during the offer period. You can choose any payment mode like UPI, Credit or Debit Card, UPI+Wallet, Debit/Credit Card + Wallet. There is no need to apply any PhonePe promo code to avail the cashback. Promo code applied automatically during payment. Hurry up, Enjoy the PhonePe cashback offer. JVVNL bill pay online offer on PhonePe with cashback of Up to Rs.1000/-. Get a scratch card and win assured cashback upto Rs.1000 on first Jaipur Vidyut Nigam Ltd (JVVNL) electricity bill payment. Minimum transaction amount is Rs.300/- to avail this phonepe cashback offer. Offer valid on first Jaipur Vidyut Vitran Nigam Ltd Electricity Bill Payment during the offer. You do not require any coupon code to avail the cashback. Coupon code applied automatically during checkout. Offer valid on first bill payment only. Hurry up, Grab JVVNL Bill New Users. Get a scratch card and win up to Rs.1000 cashback on first ever credit card bill payment. Offer valid on BHIM UPI payments only. Minimum transaction amount is Rs.500/- paid through BHUIM UPI payments to avail the phonepe cashback offer. Offer valid on first-ever credit card bill paymemnt on PhonePe. Scratch card can be availed only once per phone pe register user. T offer is valid only once per ban account per PhonePe register user. On a successful transaction of your credit card paymnet, you get the scratch card. In the PhonePe app, click on View all rewards secton. Find the unscratched card & swipe to redeem the rewards. Once redeemed scratch card cashback will be credited within 24 hours. Scratch card redemption limit is up to one year. Hurry up, Get this phonepe credit card bill payment cashback offer. Pay BSES Yamuna Power Limited Electricity Bill Payment on PhonePe! Now you get Rs.500/- cashback on your whole bill. Minimum transaction amount should be Rs.300 to 1000 to avail the offer. Offer valid for first BSES yamuna delhi electricity bill payment during the offer period. Minimum cashback amount is Rs.100/- can be availed through this phonepe offer. Offer valid for phonePe new users only. You do not require any phopePe coupon code to avail the cashback. Offer valid only the electricity bill is paid through UPI, Credit or Debit Card and wallet. Hurry up, Pay your bill via phone app & enjoy the maximum cashback. Electricity bill stay pending? Don't worry, Pay via Phonepe App & get Rs.250/- cashback on your transaction. PhonePe offer today 5% upto Rs.250 cashback on BSES Yamuna Delhi electricity bill payment. Minimum transaction amount should be Rs.1000 to avail the cashback. Minimum cashback amount is Rs.100 can be availed via this phone cashback offer. Offer valid for all phonepe users. Offer can be availed twice per user on BSES Yamuna Electricity Bill Payment. Cashback will be credited as PhonePe gift voucher balance within 24 hours of the successful transaction. Go ahead, Pay fast & redeem this cashback amount. Get Rs.250/- cashback on your BSES Rajdhani Delhi electricity bill payment for all users. Minimum transaction should be Rs.1000/- to avail the offer. No need to apply any phonepe promo code to avail the cashback. Minimum cashback amount is Rs.100 can be availed through this offer. You can choose the payment mode of UPI or Credit or Debit Card, UPI+Wallet, Debit/Credit Card+Wallet). Discount will be not applicable to using your Wallet balance. Please uncheck the checkbox to not use the wallet amount. Discount will be applied automatically during the payment. Offer can be availed twice per user on BSES Rajdhani Electricity Bill Payment. Get Rs.250/- cashback on BSES Rajdhani Delhi electricity bill payment. Minimum cashback that you availed is Rs.100/-. Get upto R.1000/- cashback on first ever electricity bill payment of Chattisgarh state power distribution company ltd (CSPDCL) on phone. The minimum transaction should be equal or above Rs.200/-. Phonpe cashback offers valid only on first ever CSPDCL electricity bill payment. You do not need to apply any phonepe promo code to avail the cashback. Cashback will be credited in your phonepe wallet after a successful transaction. You select any payment mode like UPI, Credit or Debit Card, UPI+Wallet, Debit/Credit + Wallet. Don't lose this cashback offer! Go ahead. Get a scratch and win upto Rs.1000/- cashback on first ever electricity bill payment of BEST Mumbai on PhonePe. In order to redeem this discount value, minimum transaction Rs.200/- is required. You do not require any phonepe discount coupon code to avail the cashback. Offer valid on first ever electricity bill payment of BEST Mumbai on PhonePe App. Offer valid if electricity bill is paid through UPI, Credit or Debit Cards, UPI+Wallet or Debit/Credit +Wallet. Cashback will not applicable when using ONLY wallet balance during the transaction. Scratch card can be availed only once per device and once per phonePe register user. Offer valid for first ever electricity bill pay via PhopePe. Hurry up and avail this new exciting Paytm cashback offer on mobile recharge and bill payments and ensure more savings on your purchases. Paytm is offering Flat Rs 20 Cashback on a recharge up to Rs 50. This Paytm coupon code is only applicable on a minimum transaction value of Rs 50. Don’t wait, and apply the Paytm promo code to avail the offer. The offer is valid for both postpaid and prepaid mobile users. Get upto Rs.25/- cashbcak on first electricity bill payments. What are you waiting? Pay your electricity bill online & get maximum cashback on your transaction. This coupon code can be used only once per user & once per CA number. Make sure to use apply paytm coupon code before doing any transaction. Offer applicable on minimum transaction of Rs.750/-. Maximum cashback can be availed Rs.25/-. Paytm offers on electricity bill payments with Flat Rs.25 cashback. Minimum transaction value is Rs.1000/-. This paytm coupon code is applicable to electricity bill payments only. Don't forget to use discount coupon code before clicking on proceed to pay. Offer applicable once per user only. Hurry up, Play it now. Get Rs.100% cashback upto Rs.50/- on electricity bill payment of Chattisgarh state power distribution company ltd (CSPDCL) on Paytm. Coupon code applicable once per user only. No minimum transaction value is required to redeem this cashback. Make sure that to apply the coupon code before proceeding to pay. Offer valid on CSPDCL bill payments only. Hurry up, Get this cashback right now. Bill Payment & Recharge Offers! Now bill payments are only available on Amazon App. Download the amazon app now and get upto Rs.125/- back on your transaction. Offer valid on mobile recharges, DTH recharges, Airtel DTH recharge & Tata sky recharge. For more detail, just click on activate deal icon and get the amazon offer page. Go through the above-mentioned details and recharge according to your requirement. There is no need to apply any coupon code to redeem this voucher. Hurry, Recharge it now. The offer will be expiring soon.